…and it’s virtually assured that no part of that investment will pay off. 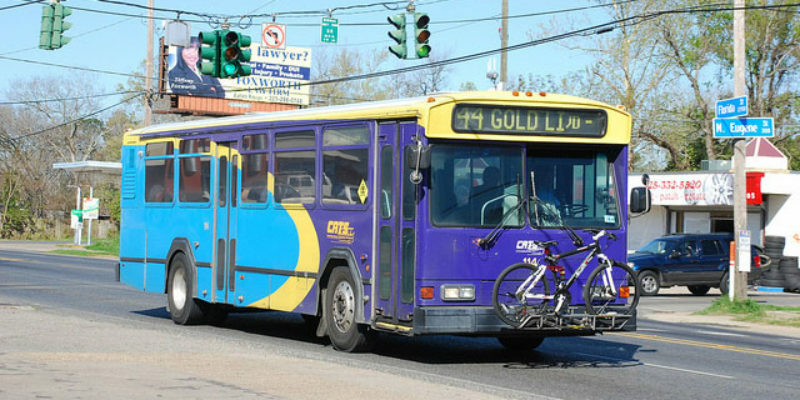 CATS, the abject failure of a bus system in Baton Rouge which soaks up some $15 million in dedicated taxes each year and has to justify that budget with an ever-increasing series of expensive boondoggles, is calling this waste of our money the “Bus Rapid Transit” project. Can’t even come up with a creative name for it. The city’s ”Bus Rapid Transit” project is moving forward in the capital area. On Tuesday, CATS held a meeting to get some feedback from people who will be utilizing the service. The process of creating a 10-mile bus route will hopefully enhance city transportation. Extending from LSU and downtown, the route will also extend north up Plank Road to its interchange with Airline Highway. The project will cost around $50 million to accommodate thousands of people, including residents, businesses, and of course students. However, one commuter feels it may not meet his needs. “I don’t know if I will be using it that much, but I want to make sure that it’s accessible for people with disabilities,” Stephen Kauffman told WBRZ. Kauffman has been disabled for most of his life, and started riding the current bus system in 1998. He says their accommodations for the wheelchair impaired are OK, but hopes BRT will have a better pitch. For three years they’ll be buying buses nobody will ride and building bus stations along Plank Road nobody will use outside of the occasional homeless people looking for a dry place to sleep. At a cost of $50 million. First of all, the number of people interested in riding from LSU to the Plank Road-Airline Highway interchange in Baton Rouge is very close to zero. After all, the last couple of LSU students we know about who traveled in that direction were LSU athletes Wayde Sims and Clyde Edwards-Helaire, and neither of those trips went well. The idea there is a big market for expanded interactions between those two areas of town which must be serviced by the application of dozens of millions of our tax dollars to build infrastructure is one which is dubious at best. But second, $50 million over three years comes to about four million Uber rides, or 1.33 million Uber rides per year, at the current commercial rate. One imagines Uber, or Lyft, would likely cut CATS some sort of deal in bulk to provide ridesharing services for CATS customers. CATS claims to have average monthly ridership of 225,000; we’d bet the real number is half that figure, and if we’re right CATS could probably service its entire ridership by contracting out its operations to the ridesharing apps just with money it’s planning on using for expanded infrastructure. Why not use that $50 million to set up a program by which CATS customers in the areas you want to better service can sign up for a free rideshare account? Make sure they’re people who qualify income-wise, so you’re restricting the program to the truly needy, and we’d be shocked if Uber doesn’t save Baton Rouge money over the status quo while providing better service. After all, anyone will tell you that riding shotgun in someone’s personal vehicle and getting door-to-door service to your destination is a far more valuable service than having to wait in the heat or rain at some bus stop to be ferried, stop-and-go fashion, to some destination kinda-sorta close to where you want to go. We won’t hold our breath for a change like that, though. Because the primary purpose of CATS isn’t to provide effective, efficient services to those who need them or the taxpayers footing the bill – it’s to spend every dime of the agency’s revenue in as recurring a fashion as possible so there can be no thought of budget cuts. After all, there are lots of mouths to feed and palms to grease. And Uber and Lyft just won’t do for those purposes.